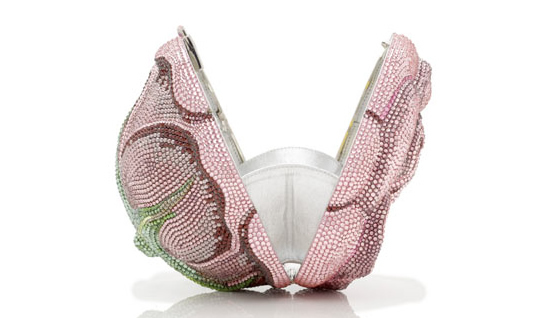 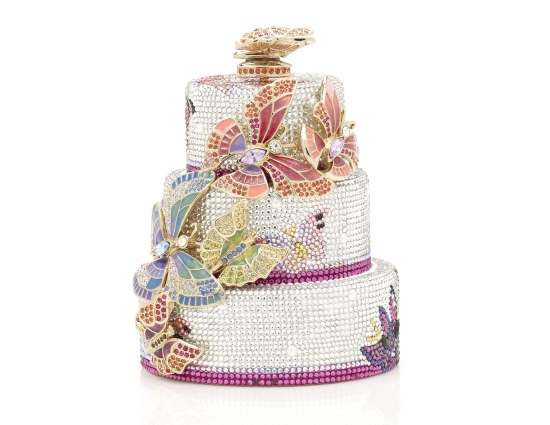 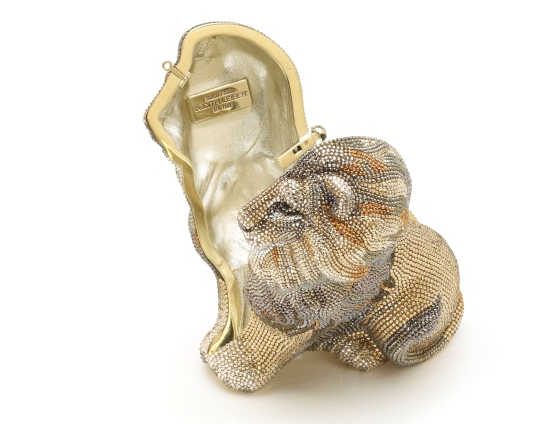 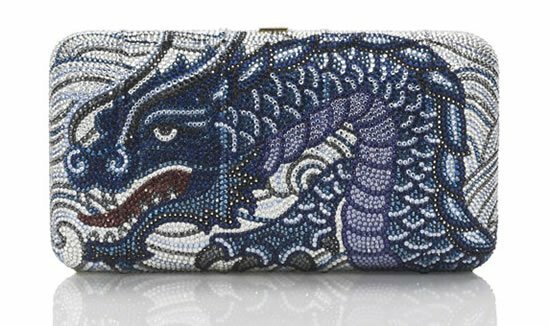 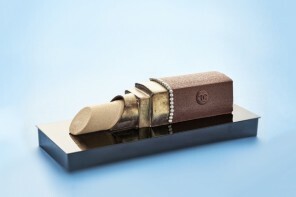 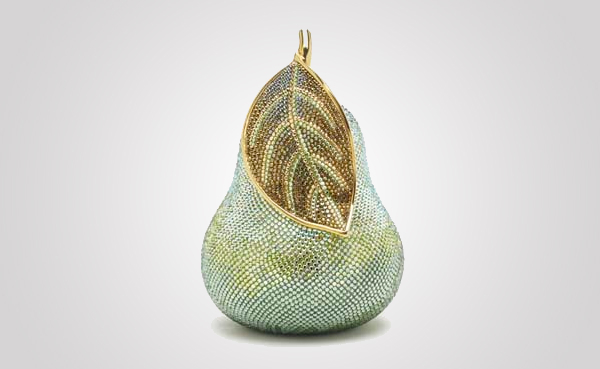 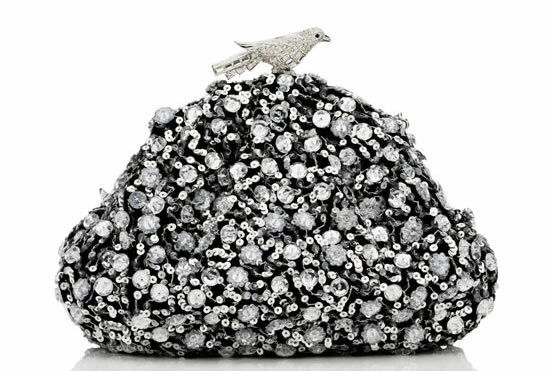 The Cake slice crystal Minaudiere by Judith Leiber left us craving for more sweetness in our life. 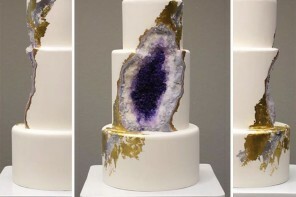 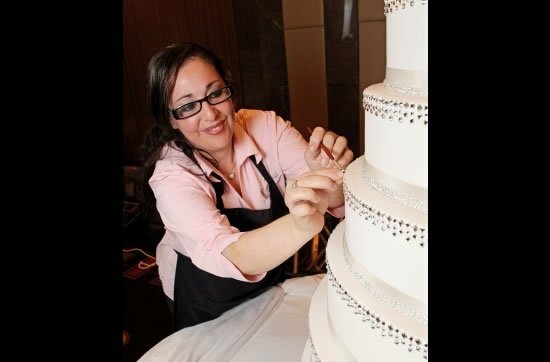 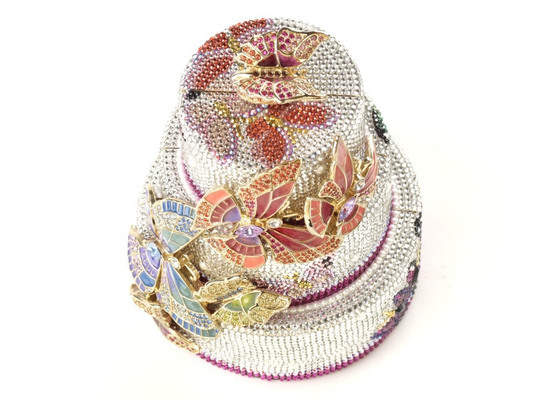 However, the fashion brand didn’t keep us waiting for long to satisfy our sweet tooth for desert jewelry- They have now unveiled a triple tiered crystal cake that adds a sparkling touch to any special day. 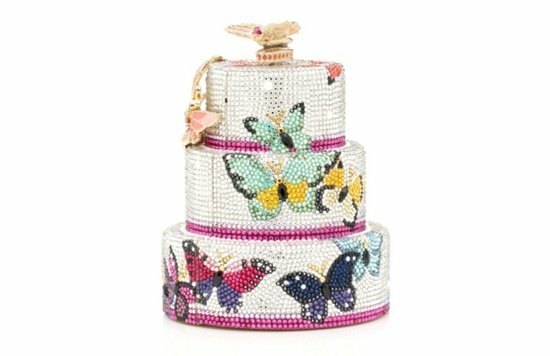 The cake designed as a tier to tier cascading rainbow of color is embellished with enamel butterflies.